Learning about Mauritius history is quite fascinating. It is interesting to study the past which contributed a lot to the nowadays identity of Mauritius. Due to lack of documentary evidences from the first period in which the island was discovered it’s difficult to know the exact date events occurred. Known fact is that the Arabian were the first to get on the island in the 10th century naming the island Dina Arobi (Desert Island). It is also known that they were followed by tribes of Malays, but very little information is available about that period. After the Arabs and Malays, the Portuguese seaman Domingo Fernandez Pereira sighted Mauritius in 1507 and Named It “Ilha Do Cerne” (Island of the Swan). The Group of islands, which is Mauritius, Rodrigues, and Reunion were named Mascarenes after the Portuguese Captain, Pero Mascarenhas and today this group of islands is still known as the Mascarene Islands. However, the Portuguese never settled in the country, they used the island as a port of call and a source of fresh foods as they were more interested in protecting their trade routes with India. Wybrant Warwijck was the first Dutchman who visited the country in 1598 and renamed the island after the Dutch Stadtholder Maurits (known also as Maurice of Nassau - Prince of Orange). During the first years, the Dutch did not occupy the island but regularly visited it benefiting from its raw materials such as ebony and wild animals like the famous Dodo, pigs, goats and tortoises. The first Dutch settlement started in 1630, mainly in order to prevent the French and the British to occupy the island. The Hollanders settled on the east coast of the island where the south-eastern harbor is, an area which they called "Haven van Warwijck", where the town of Vieux Grand Port now stands. The Dutch East India Company sent Simons Gooyer to become the governor of the island together with a group of twenty five men, they established the first settlement. The aim of the settlement was to sent ebony trees and wood to Batavia and Holland, to find Ambergris (used for producing expensive perfumes), produce food and tobacco, rear cattle and fowls for settlers, supply fresh food and products for the Dutch ships travelling along the naval route, build a fort to protect the harbor and especially to prevent the French and English from using or occupying the island. In 1638, the Dutch built a square wooden fort with bastions and cannons at each corner to protect the harbor, the fort was named Fort Frederik Hendrik. After the reign of Simons Gooyer, Governor Van Der Stel landed in the island, and brought with him various seeds and fruits including sugar cane saplings. He also brought rabbits, sheep, geese, ducks, pigeons and stags, which multiplied over years and were sources of fresh provisions to passing ships. In order to cut down ebony trees for exportation, Van Der Stel needed more men power, so he went to Madagascar where he obtained 105 slaves. During a period of three years Governor Van Der Stel full attention was given to agriculture: cultivated rice, indigo, tobacco and cane. Unfortunately the crops and fort were not long lasting and they were badly damaged by a cyclone in 1644. Discouraged by the bad conditions in Mauritius of droughts, storms, rats and monkeys which prevented agricultural progress, the Dutch decided to abandon the island. Then at 1710 the Dutch tried to settle again in Mauritius but this time with some skilled man like carpenters, blacksmiths, tanners, sawyers, and brewers. But again due to the droughts, cyclones and pests problem, the new settlers abandoned the island. For some years following the Dutch departure, Mauritius remained unoccupied. In 1715, Captain Gillaume Dufresne D`Arsel occupied the island for France and gave it the name of Isle de France. Settlers arrived to the Island from Bourbon Island and from France. Denis Denyon was assigned as governor and settlements started in Port North West (Port-Louis) and Port South East (Grand Port). Acres of land were cleared and tobacco maize and rice were planted but again were soon destroyed by cyclones. In 1734, Bertrand Mahé de Labourdonnais, a great sailor and trader was appointed governor of the island. He transferred the head quarters of the island from Port South East to Port North West. During his governorship he built roads, a big civil and military hospital which still exists near the harbor. He also built the Government house, Pamplemousses Garden, Chateau de mon Plaisir, Powder magazines, stores, ware houses, the harbor, canals and a line of fortifications and batteries to defend the capital. Bertrand Mahé de Labourdonnais encouraged settlers to cultivate their land and obtained slaves from Mozambique to help them. The settlers planted sugarcane, wheat, rice, cotton, coffee and indigo, and built the first factory at Pamplemousses. 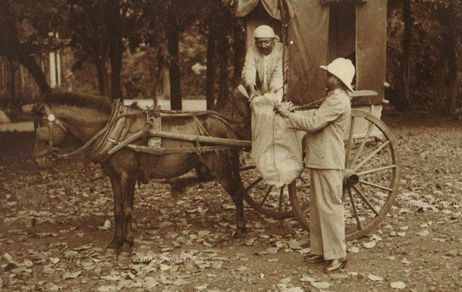 To carry out public works and to cultivate more lands, Indian sailors and artisans were brought to the island. At that time many developments were made which changed Ile de France into a prosperous colony. In 1767 the crown took over the island from East India Company, and Governor Dumas and Intendant Pierre Poivre were the new administrators. The latter was a great botanist and has brought pepper and cinnamon plants from Moluccas and other spices from Philippines. Under their rule roads were straighten and widened, and many stone houses were build in Port-Louis (few still exist today). The British made several efforts to conquer Mauritius, but these efforts were deflected by the French. It was during the Napoleonic Wars that the British invaded Mauritius in 1810. The British’s main focus in captivating Mauritius was to protect their main sea route from England to British India from the French who threatened the British shipping and naval route. 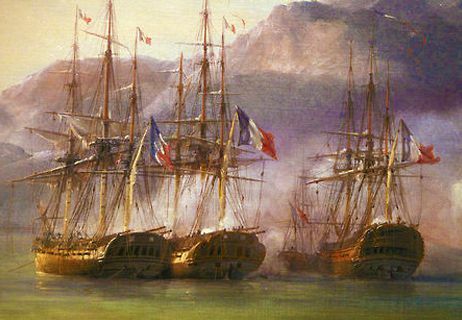 On 1810, the British landed at Cap Malheureux with a greater number of forces and 174 strong guns against the 144 guns of the French. The battle continued without interruption until the French which were outnumbered had to surrender. Once the British captivated the island, in order to gain the support of the locals the British guaranteed the inhabitants that their customs, laws, language and culture will be respected. Ile de France was renamed Mauritius and it was formally given to Britain at the Treaty of Paris in 1815. Sir Robert Farquar who became the first British governor of Mauritius made rapid social and economic changes. In August 1833 the law of abolishing slavery was passed by the British parliament and came into force in Mauritius in 1835. The abolition of slavery had important repercussions on the socio-economic and demographic fields. This resulted in turning to India, from where the local planters brought a large number of indentured laborers to work in the sugar cane fields. On the constitutional plane, the Council of Government which was first established in 1825, was enlarged in 1886 to make room for elected representatives. The new Council of Government included 10 members elected on a restricted franchise. It was not until 1933 that the Constitution was significantly amended. But the Constitution was still restricted to persons within a certain income bracket and to property owners. A major breakthrough occurred in 1948, when after years of protracted negotiations for a more liberal Constitution, franchise was extended to all adults who could pass a simple literacy test. The Council of Government was replaced by a Legislative Council composed of 19 elected members, 12 members nominated by the Governor and three ex-officio members. General elections were held in August 1948 and the first Legislative Council met on 1st September 1948. Following Constitutional conferences held in London in 1955 and 1957, the ministerial system was introduced and general elections were held on 9th March 1959. In 1961, a Constitutional Review Conference was held in London and a programme of further Constitutional advance was established. It was followed in 1965 by the last Constitutional Conference which paved the way for Mauritius to achieve independence. After general elections in 1967, Mauritius obtained its independence on the 12th march 1968 within the commonwealth with Seewoosagur Ramgoolam as prime minister. The island achieved the status of Republic 24 years later on 12 March 1992.